Dutch band Kayak’s career arc was similar to that of Genesis: early albums featured more ambitious symphonic progressive rock, and later work crossed over into more commercial mainstream territory. Depending which era you listen to, their work may call to mind bands such as Camel, Alan Parsons Project or Marillion. 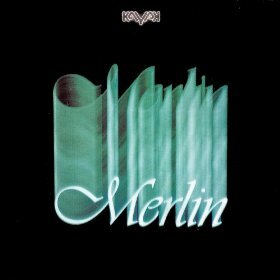 The Merlin album from 1981 represents a middle period, and contains songs of the more Pop-gressive variety alongside a few more ambitious compositions. “Niniane (Lady of the Lake)” spotlights the classical influence of conservatory-trained keyboardist Ton Scherpenzeel, who also shows a rather impressive command of English in his lyric writing here and elsewhere, considering it’s not his native tongue.